Glaick, Corry of Ardnagrask, near Muir of Ord is on the market at offers over £410,000. Inverness and the Highlands was the place to be if you wanted to buy or sell a property last year. Property consultancy firm, Galbraith, has said that sales from its Inverness office increased by 56% during 2018, compared with 2017, while it recorded a 57% increase in new prospective buyers registering to receive property alerts during the course of the year in the Highland region. Phiddy Robertson, from Galbraith’s Inverness office said: “The market is predominantly underpinned by local demand, with 62% of buyers coming from Scotland and 30% from the rest of the UK, with 8% being international. Inverness is ranked as one of the best places in the UK to raise a family, helping to boost sales and sustain prices in the region. Phiddy said: “Buyers here can expect an excellent quality of life. 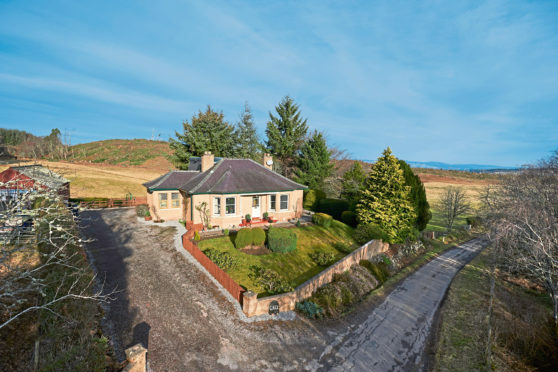 “Inverness has been transformed over the past 10 years or so and property within commuting distance of Inverness continues to be in high demand. Two properties of note for sale through Galbraith’s Inverness office are Stac Polly Lodge, near Achiltibuie, Ullapool. 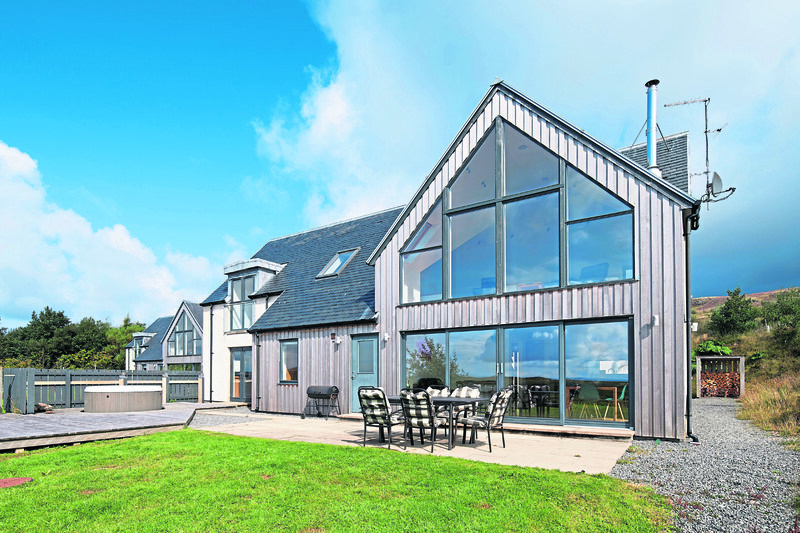 On at offers over £525,000, this stunning contemporary, decrofted house has idyllic views to the Summer Isles and Bardentarbet Bay. A highly energy efficient house finished to a very high standard, it has stylish interiors designed throughout to maximise the wonderful views. It also comes with a large decked terrace and a hot tub. This is a smallholding with a recently upgraded three-bedroom house and outbuildings plus 10.9 acres of farmland and 1.9 acres of owner-occupied croftland.